Self-taught, he crashed on his first flight. Four weeks later he got his license. Three weeks later he won a prize for the longest flight from England to the Continent. For the next eight decades, Tommy Sopwith’s fingerprints are all over aviation. 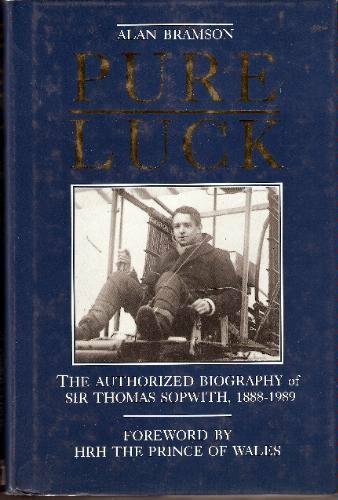 Sir Thomas Sopwith, “one of the most influential non-political figures of his century,” was an extraordinary Englishman who was born in Victorian England 15 years before the Wright brothers flew. He lived to 101, long enough to see huge advances in aeronautical engineering coming from companies that he acquired and grew into the Hawker Siddeley Group. This reviewer had the good fortune to work at the headquarters of Hawker Siddeley in St. James’ Square during the tumultuous acquisition days of 1959–61 when Sir Thomas was still chairman. Authorized biographies often leave out the juicier and more interesting parts of a subject’s life. Not so with Pure Luck, first published in 1991 by Haynes (ISBN-13: 978-1852602635). Although Sir Thomas was by nature a diffident subject, author Alan “Bunny” Branson had the full support of his family and many friends and colleagues to record here the fascinating story of a remarkable aviator and all-around sportsman who had once gone ballooning with Charles Rolls. Bramson is himself a flyer and has written a number of historical books on the subject as well as several student/pilot guides. As airplane production program manager and brilliant salesman even before the commencement of WWI when the aircraft population in the UK barely reached three figures, the excellence of the fighting aeroplanes that Sir Thomas’ team designed and built for the Royal Flying Corps was testimony to his uncanny ability as a natural leader to choose the right people and bring out the best in his team of designers and engineers. 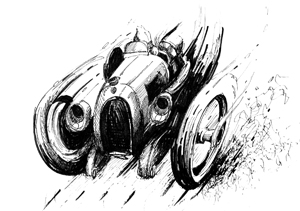 This applied also in his private life such as racecar driving and participation in America’s Cup yacht racing in 1934 (when he nearly won) and 1937. He was inducted into its Hall of Fame in 1995. 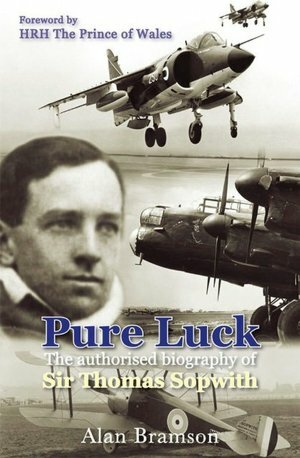 Aviation historians will learn much from the pages of Pure Luck, for example the extraordinary story of how Sir Thomas founded and grew Sopwith Aviation from a tiny workforce in 1913 to build more than 16,000 airplanes and design 32 different aircraft types during the 1914–1918 war. At its height, his companies employed almost 130,000 people. The political and military history of the UK from 1910 to the 1990s inevitably forms an important background to this book. Sir Thomas, anticipating the inevitability of WWII, decided in 1936 to go ahead and fund the purchase of jigs and tools for 1000 Hawker Hurricane fighters rather than waiting for a contract from a dithering and appeasing UK government. The RAF was glad to have these precious aircraft in the Battle of Britain. The book is very readable, ending in a moving epilogue. Seven appendices cover a history of Brooklands, Sir Thomas’ ballooning log, an important list of 117 aircraft types designed by companies under the leadership of Sir Thomas, a list of his sailing yachts, a 1988 list of the companies comprising the Hawker Siddeley Group, a list of surviving Sopwith aircraft, and finally a summary of the significant 100th birthday (which, incidentally was marked by a flypast of military aircraft over his home) messages received by Sir Thomas. 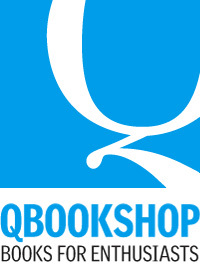 There is a short bibliography list and an extensive index. The photographs are excellent and particularly fascinating are the pre-WWI aircraft. There are some annoying errors of fact that would have been easy enough to correct in this revised edition, such as the rather ridiculous suggestion that the Gloster Meteor really belonged to the piston engine era being immediately contradicted by the statement that it broke the world speed record in November 1945 at a speed of 606 mph!